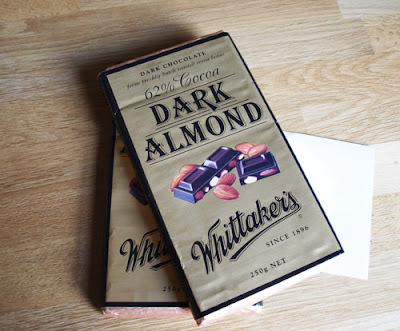 Farmersgirl Kitchen: Chocolate - all the way from New Zealand! It has NUTS in it! I go mad for nuts in chocolate! Jealous, I love trying things like this. Hope you enjoy it - or what's left over when Mr Farmer has found it! True! Nuts in chocolates are little pieces of heaven on earth. why is it, in a list of blogs, 'chcolate' is the one that catches my eye! Congratulations - the choc sounds fab. During the 6 months I spent in NZ the only chocolate I ate was cadbury's.